Thurston Clarke’s “JFK’s Last Hundred Days: The Transformation of a Man and the Emergence of a Great President” was published in 2013, four months before the 50th anniversary of Kennedy’s death. Clarke is a journalist and the author of about a dozen books, including two on JFK and one covering Robert Kennedy’s 1968 presidential campaign. The book’s sub-title suggests an intent to demonstrate that JFK was on the verge of presidential greatness when he was assassinated. Surprisingly, however, the claim is only briefly addressed – in the book’s final pages – and little supporting evidence is ever offered. But in the end, “JFK’s Last Hundred Days” is less about a hypothesized transformation of the 35th president than it is about providing a unique way to see the last weeks of Kennedy’s life and presidency. The book is strongest when it explores Kennedy’s day-to-day life, providing the reader with new insights into his final weeks…both his frustrations and joys. Some readers will be intrigued by the book’s last pages where the author briefly ponders what might have been. Clarke proposes that, had Kennedy lived, he would have advanced a groundbreaking legislative agenda, pulled back from Vietnam and enjoyed a stronger relationship with his wife. The book’s most notable weakness is its lack of continuity – its penchant for constantly jumping around the timeline. 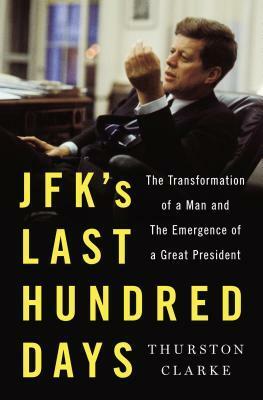 Even though it is ostensibly organized around JFK’s last hundred days, the narrative frequently flashes back to earlier periods in Kennedy’s life – ranging from his childhood to his early presidency – to explain aspects of his personality and policy perspectives which would not otherwise be obvious given the book’s scope. Someone familiar with Kennedy may well find these frequent flashbacks relatively easy to tolerate as they reference (and reinforce) elements of his life which will already be familiar. But someone new to JFK is likely find the constant time-jumping exasperating…and the narrative maddeningly disjointed. To Clarke’s credit, however, he treats the reader to a unique exploration of the last months of Kennedy’s life drawing on some sources, including recently released Kennedy Oval Office tapes, I have not previously seen referenced. His “glass half full” view of the Kennedy marriage is an optimistic perspective I’ve never encountered and he provides an especially clever and thought-provoking comparison of JFK and LBJ. Overall, Thurston Clarke’s “JFK’s Last Hundred Days” provides an interesting view of the last months of Kennedy’s life while failing to deliver on its apparent raison d’être – Kennedy’s emerging greatness. Fans of Kennedy will likely find this a satisfying and stimulating read, but readers new to JFK’s life should look elsewhere for an introduction to this complicated and charismatic man. I’ve found your reviews of the Kennedy books very interesting. 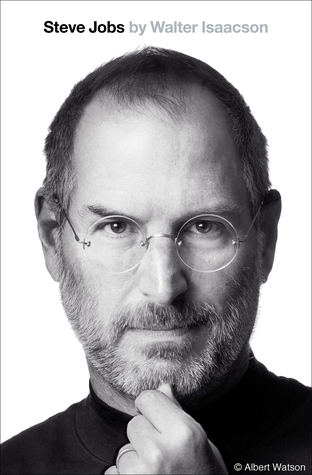 It seems like he’s a fascinating person, but no one has quite nailed a definitive bio. I think it’s on your follow-up list, but Evan Thomas’ bio of RFK is great. Fairly balanced, and you get a good glimpse at JFK, of course. Yes, that one is definitely on my list to read! For reasons not clear to me, the JFK biographies I’ve read so far have featured a number of JFK’s family quite prominently – his father, his mother, his paternal grandfather, his oldest brother, a couple of his sisters…but Robert has hardly been mentioned. Can’t wait to read a couple of the biographies of RFK!